Silver Line Station started with a vision: create a high-energy, musically dynamic group built around vocal harmonies and hard-driving fiddle, where Mumford & Sons meets Fleetwood Mac. Crossing the boundaries of country, folk, blues and rock they quickly built a string of successful shows across the DC area. “Keith Richards once said that good music comes out of people playing together, knowing what they want to do and going for it. That’s what we want to accomplish with Silver Line Station,” says bandmate David Graziano. Silver Line Station’s band members have collectively toured the US with Irish rock bands (Dave Kline), auditioned and made call-backs on NBC’s The Voice (Connor Fleming), sold out The Birchmere and State Theatre (David Graziano) and won numerous songwriting competitions (Lisa Taylor). They are currently recording their first album of original material. Is Silver Line Station “the band that almost never was" or "the band almost named The Craigslist Killers?" In the summer of 2012, then-guitarist now-bassist Russell Anderson ran a Craigslist ad in search of female vocalists. David Graziano replied first. “I gave my wife the address in case I never came home,” he recalls. Upon arriving at Russell’s home, he was led to the basement, and promptly murdered. Just kidding. Russell and David clicked musically, and vocalist Connor Fleming was next to reply to the ad. “I sent the address to my entire family and boyfriend,” she reports. “I was literally going to the home of an older man who I met on Craigslist to supposedly sing in his basement.” Luckily, Russell Anderson is one of the least creepy humans alive, and no musicians were harmed in the making of this band. After six months of trying out different sounds and a revolving door of several additional vocalists Silver Line Station discovered their true sound: folk-rock Americana. With strong vocal harmonies and guitar and bass in check, the band was only missing a few things: the rhythm section and a hard-driving fiddle player. Fast-forward to the fall of 2014 when Connor returned to the United States. Silver Line didn’t miss a beat, performing at IOTA only one month following her return. With all members present on the continent, the band is picking up steam again—developing new covers and writing original material. Silver Line Station is hard-hitting Americana with influences ranging from country to blues to folk-rock and indie-rock. Come out and see for yourself what the hype is about. Vocalist Connor Fleming began her music career at the tender age of 4, when she auditioned for a musical theater production by singing her favorite song about vegetables, and how they have feelings. She was told she was slightly too young to take part in the show, which only had teenage characters. Despite this early setback, she has been singing ever since. 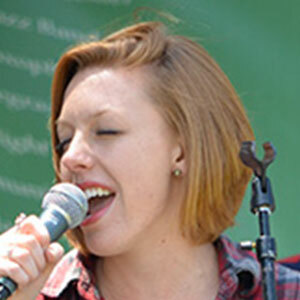 She was in UVA’s award winning all-female a cappella group Hoos in Treble, and after graduating decided to join a band. That band was Silver Line Station. Her influences include folk, blues, hip-hop, R&B, soul and country. If she could be anyone in the entire world it would be Stevie Nicks, but with less disastrous drug use. 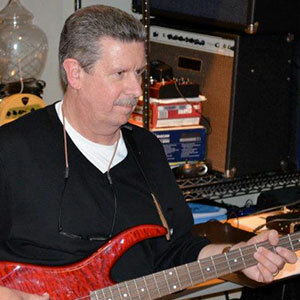 Guitarist and vocalist David Graziano was a founding member of the band Blame It On Jane, performing at east coast venues such as CBGBs, The Birchmere, and State Theatre. David also co-founded and performs with the original rock band, The Ruins. 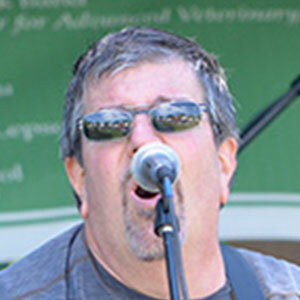 David is an accomplished songwriter, placing as a finalist in the Mid-Atlantic songwriting competition. Fun facts about David are as follows: he always brings beer, he is a control freak but will not admit it, and he has a cool cat. It’s all about the BASS! Lifelong musician and multi-instrumentalist Russell Anderson delivers the bass lines for Silver Line. Russell has been a part of many successful projects over the years, from full-on show bands to smaller acoustic projects and feels the Silver Line’s offering is really something to get excited about; "I am fortunate to be part of this extremely talented group of musicians and feel this is the most exciting project I have been a part of in a decade or more! Our sound is on the leading edge of today’s acoustic Americana-roots-rock, and I know people are going to love it - as so many do already. Come on out and hear for yourself!" 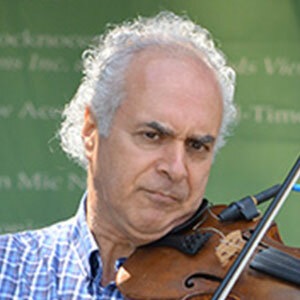 Dave Kline’s violin – performance and composition – is not your usual fiddle. Born in London, England, Dave's musical journey began with piano at age 5. He quickly added violin, guitar and fiddle to the mix and by his teens he was regularly playing folk and rock n' roll to supplement his classical background. After moving to the US in 1972, he toured the West Coast with an Irish rock band. Since then he has played and recorded with numerous artists on many albums, includingJoie de Vivre, recorded by Whammy award winning World Jazz group Veronneau. His influences cross genres and span continents, including music from England, Ireland, Latin America, Africa and the Middle East. The outcome is an inventive hybrid mix of rock, funk, jazz fusion, blues and swing. Dave can add a fiddle solo to literally any song in the world. Try him. Lisa Taylor was raised just outside of Washington, D.C. and bottle fed on the music of the seventies – Carole King, Crosby, Stills and Nash, and Aretha Franklin. 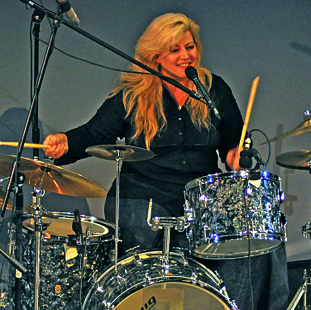 By the age of 14 she taught herself set drums so she could join her sister’s rock ‘n’ roll band, evolving into the band “Sister”, one of the most sought after female rock bands in the Mid-Atlantic area. Lisa is a two-time WAMMIE (Washington Area Music Association) winner, A Kerrville New Folk Finalist, A Mountain Stage Finalist and a showcase performer for the prestigious North East Regional Folk Alliance Conference.